JUDGE of Appeal V.K. 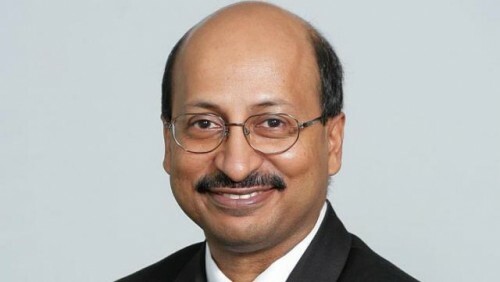 Rajah will be leaving the Bench in June to become Singapore's eighth attorney-general since independence. The 57-year-old will take over the role of public prosecutor from Mr Steven Chong when he completes his two-year term. Mr Chong will return to the Bench as a Judge of the High Court on June 25, the Prime Minister's Office (PMO) said yesterday. As public prosecutor, Mr Chong was instrumental in making a number of changes to the criminal justice system - introducing several initiatives to enhance the administration of criminal justice, said the PMO. He was an advocate for having greater legal expertise within the civil service, and for government lawyers to handle government-related litigation, rather than have some of it outsourced. The 56-year-old also took steps to engage the public in explaining the work and significant decisions of the office by establishing the Media Relation Unit at the Attorney-General's Chambers (AGC) and launching an outreach programme, among other things. During his tenure as public prosecutor, the AGC handled several high-profile criminal trials, including corruption cases against the former chiefs of the Singapore Civil Defence Force (SCDF) and Central Narcotics Bureau (CNB). While a conviction against former SCDF commissioner Peter Lim Sin Pang was secured, former CNB head Ng Boon Gay was acquitted by the courts. But charges against both were tendered before Mr Chong was attorney-general. The conviction for corruption against former law professor Tey Tsun Hang was also successful, but later overturned on appeal. Mr Chong said yesterday that he counted his stint as attorney- general as "some of the most challenging but rewarding years" in his law career. "It afforded me the unique opportunity to work with an entire community of dedicated public officers and to make a difference to the Legal Service and to the criminal justice system. "I thank my wonderful family of officers and staff in AGC for their unstinting support. It was my distinct honour and privilege to have worked with all of them." Justice Rajah will take over after having served on the Bench for more than a decade - first as a judicial commissioner, then a Supreme Court judge, and then as a Judge of Appeal. Chief Justice Sundaresh Menon said yesterday that Justice Rajah had rendered distinguished service, which led to "significant and ground-breaking changes to the profession and also to the administration of justice in Singapore". "Justice Rajah leaves the Bench after more than a decade of distinguished service, during which time he made immense and significant contributions to the jurisprudence of the court," he added. "I congratulate him on having completed such a remarkable stint on the court and extend my very best wishes to him as he steps forward to take on another challenging and very important role."